SEWA has introduced piped natural gas service for domestic, commercial and industrial uses in Sharjah City. In conjunction with this new service, SEWA also arrange conversion of cookers and ovens fired by PLG cylinders to the natural gas system to be supplied by Sharjah Gas Distribution Networks which is covering all parts of Sharjah. . In February 2005, SEWA also initiated a project on use of the compressed natural gas (CNG) as fuel for vehicles instead of petrol. The first phase of the project covered the conversion of all cars and vehicles owned by SEWA to use CNG. For any inquiries or emergencies you can call Natural Gas Department Call Center on: 06 5026660 Timings: 7:30 am to 9:00 PM, Saturdays to Thursdays. 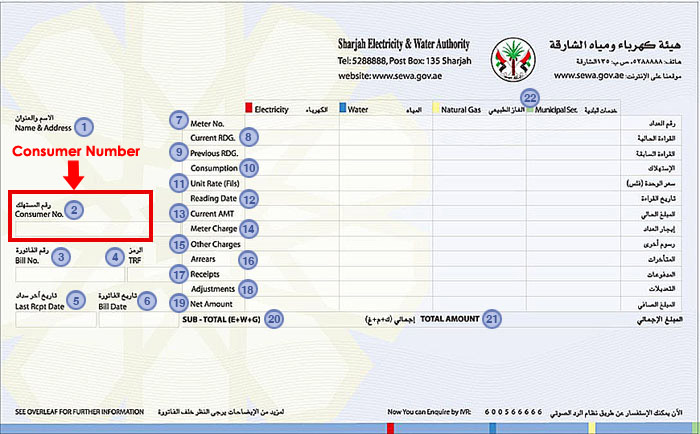 In line with the collaborative work with other departments of Sharjah Government and for convenience for our customers, the Directorate of Natural Gas has arranged that one its employee to be available at the Customer Service Center of the Department of Town Planning & Survey to handle the Gas NOC transactions. NOC letter from Sharjah Municipality. Passport copy of Building owner. To convert natural gas cooking appliances, please contact Natural Gas Department Call Center on the No. 06 5026660 or apply through the websitewww.sewa.gov.ae or send a copy of the monthly bill along with the mobile number of the customer through Whatsapp number 056 5113262 to take an appointment for Gas Conversion. In the case you would like to modify the gas fittings or change the location of the cooking appliance in any place inside the villa or apartment, you can request for Gas Supply Modification by contacting Natural Gas Department on 065026793 OR 065026749 and providing your Account ID (available on the monthly bill).